Oi! Oi! Oi! The wait is over and the longest reigning United World Tag Team Champions have returned to active competition. After Adam Thornstowe was sidelined with an injury in late 2018, UWN Executive Nikko Marquez decided to strip the Reno SCUM of their titles for failing to defend within the United Wrestling Network in the stipulated 30 day period. 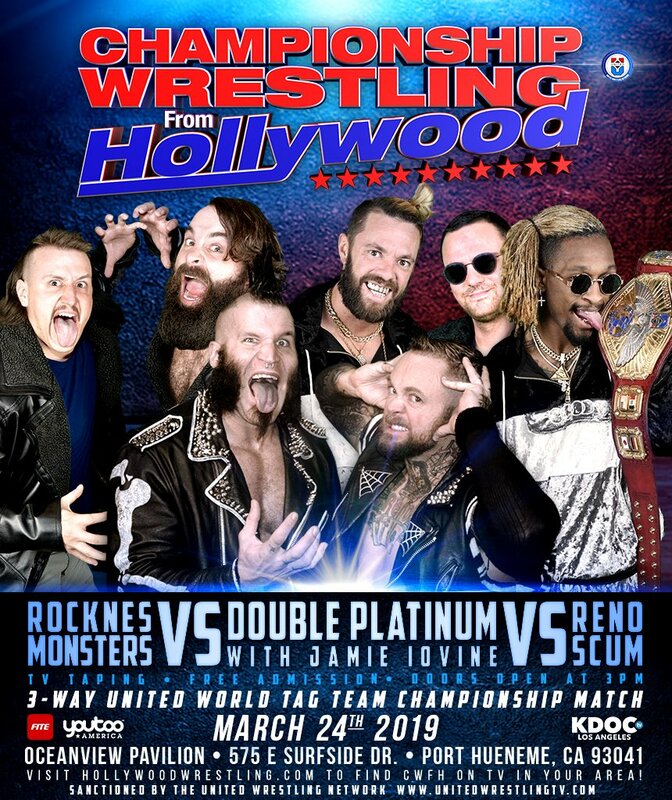 ROCKNES Monsters were crowned the new champions on the landmark 400th episode of Championship Wrestling from Hollywood, but have since let those titles slip through their fingers and into the hands of Double Platinum. 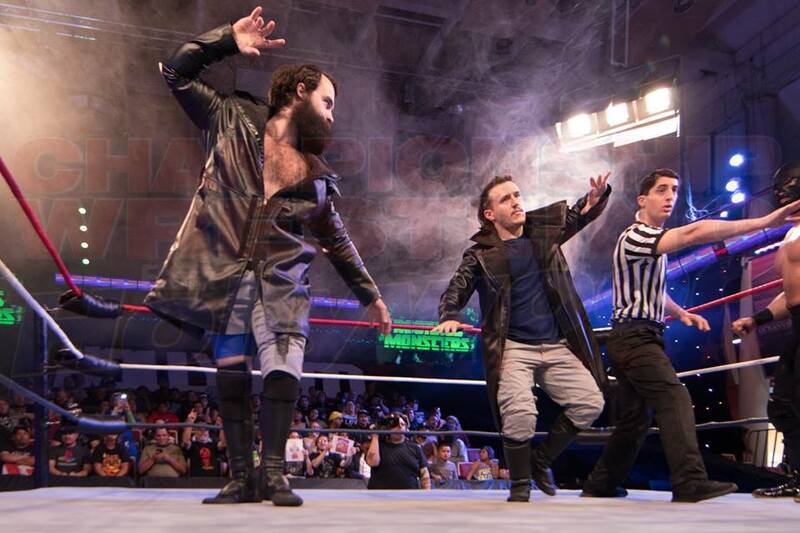 Nikko Marquez recently announced that at the March 24th Television Event at the Oceanview Pavilion that Thornstowe and Luster will get their rematch for the United World Tag Team Championship in a Triple Threat Match. It will be Double Platinum versus ROCKNES Monsters versus Reno SCUM. Upon hearing this news, each team had words for their opponents. “Hasn’t anyone told [Reno SCUM] that Punk is dead? 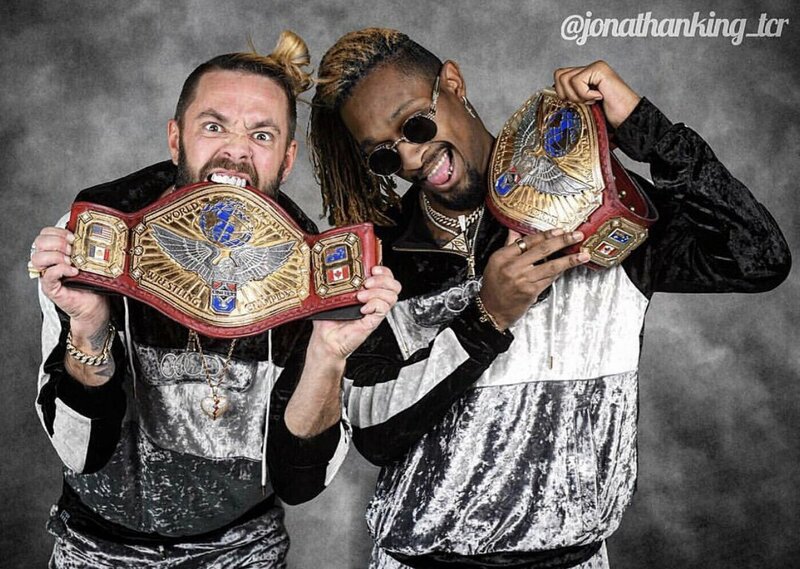 We’re the new wave,” boasts Suede Thompson, confident that Double Platinum will retain their championship titles. “We’re only worried about breaking records and holding gold.” UnitedWrestlingTV.com reached out to Reno SCUM to see if they feel that they are at a disadvantage by having to take on two teams for their rematch.